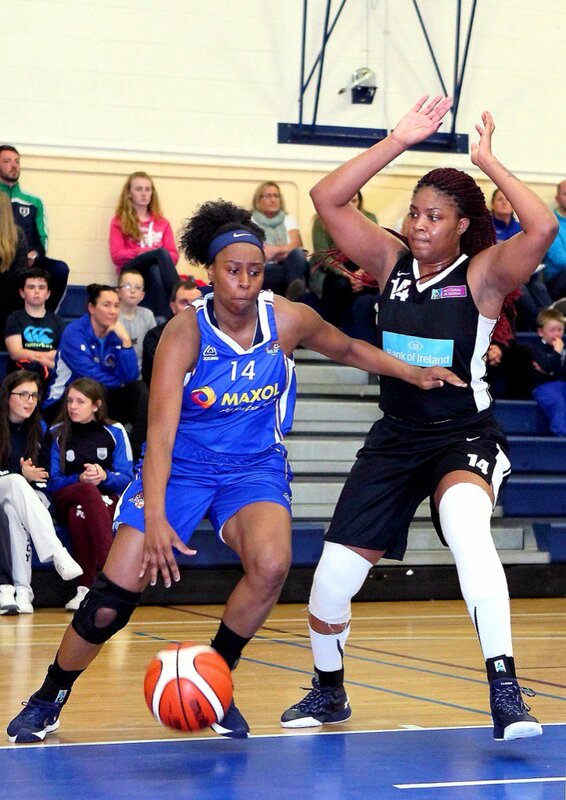 DaLacy Anderson is a bonafide basketball star from America helping young girls in Waterford to achieve their sporting dreams and build their self-esteem. DaLacy Anderson is someone special. And we have her now! Originally from Bolingbrook, Illinois, DaLacy left home to pursue her degree in marketing at the world-famous George Washington University in Washington DC when she was just 18 years old. DaLacy loved basketball as much as school, and so became the forward for the GWU women’s basketball team, the Colonials, where her achievements speak for themselves. All this, and she made the Dean’s List twice for excellence in her academic work! Go girl! When she graduated in Spring 2016, DaLacy still felt that she had a lot more to give. So when her athletics academic advisor pressed the leaflet from the Sports Changes Life Foundation into her hand, DaLacy knew it was exactly what she wanted and needed to do. During summer of 2016, DaLacy was announced as the 2016 Victory Scholar for the Sports Changes Life Foundation. This Belfast-based not-for-profit organisation enables American sports scholars to come to Ireland and act as mentors and coaches to young Irish teens and pre-teens. Currently, there are 23 Victory Scholars from the United States working with youngsters all over Ireland. Northern Ireland native Rory McIlroy, who has won the PGA Tour a whopping 4 times, was announced as an ambassador for the Sports Changes Life Foundation at the same event where DaLacy was announced as a 2016 Victory Scholar. McIlroy’s own charitable foundation had recently made a $150,000 contribution towards supporting the Victory Scholars program. 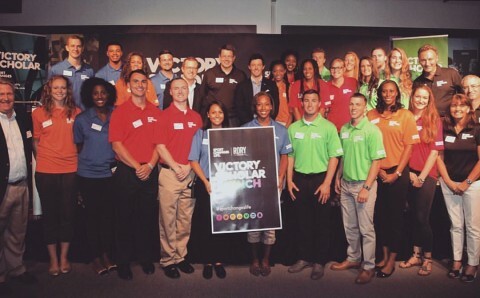 Above: Rory McIlroy at the 2016 Victory Scholar launch event - DaLacy is in the orange shirt, bottom row, third from the right. 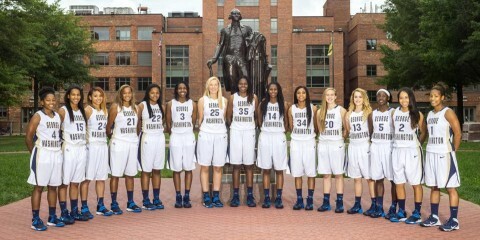 Photo courtesy of www.gwsports.com. Complete a masters degree in business management at the Waterford Institute of Technology, which works with the Sports Changes Life Foundation to provide ongoing degree work for the girls who come over on scholarships to the Wildcats. The Maxol café, Moreish, provides the young American guest players for the Wildcats with at least one free meal a day! DaLacy is adapting well to Irish life. “The weather’s really not that bad, actually,” she laughs, “And the food is fresh and local.” She misses her friends and family, of course, but they will all come out to visit her, and DaLacy plans to explore Europe this Christmas, using Ireland as a jumping off point. The Waterford Wildcats are doing very well, and DaLacy is adjusting to her new team. “Our season ahead looks promising since we have been very successful in our pre-season friendly games and are currently 1-1 in league play,” DeLacy tells us. But most importantly, DaLacy is enjoying seeing the confidence and abilities of the young girls she mentors grow with every training session. “It is a true privilege to be able to make a difference in these kids’ lives,” she says. We say it’s also a privilege to have you here with us, DaLacy – a big welcome from all of us at Maxol! Here's to making a difference in children's lives through sport!